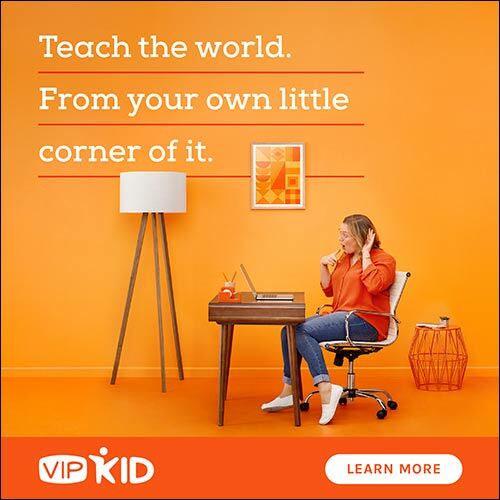 Sign up with VIPKID to Work From Home as an ESL Teacher! Looking for unique ways to make money from home? If you have a four-year degree, you can apply with VIPKID to become a work-from-home ESL teacher to kids in China! We’ve posted about this in the past, and tons of readers have been teaching with VIPKID for years and have great things to say about it! VIPKID is an online English education platform allowing children ages 4-12 in China to take classes from North American teachers. As a VIPKID teacher, you have the flexibility to work at home and make your own schedule. You can work when you want during hours that best fit your daily routine, and you’ll make $14-$22 per hour! Have a bachelor’s degree in any field. Have at least one school year of full-time teaching experience or equivalent hours in similar educational activities (such as home schooling, tutoring, or educational mentoring). Be eligible to work in the U.S. or Canada. Note that you do NOT need to speak Chinese in order to teach! Fill out your basic information. Go through the interview process that involves a demo of your teaching skills. Go through their Intro to Teaching class. Practice teaching a mock class with an experienced VIPKID teacher. Sign your contract and start teaching kids! It’s that easy! If you follow these steps and meet all qualifications, you could become a VIPKID teacher within less than a month! Go here to apply for VIPKID. « Want to see a sample menu? Plus, chicken curry in the crockpot! This is such a great part-time, at-home job. 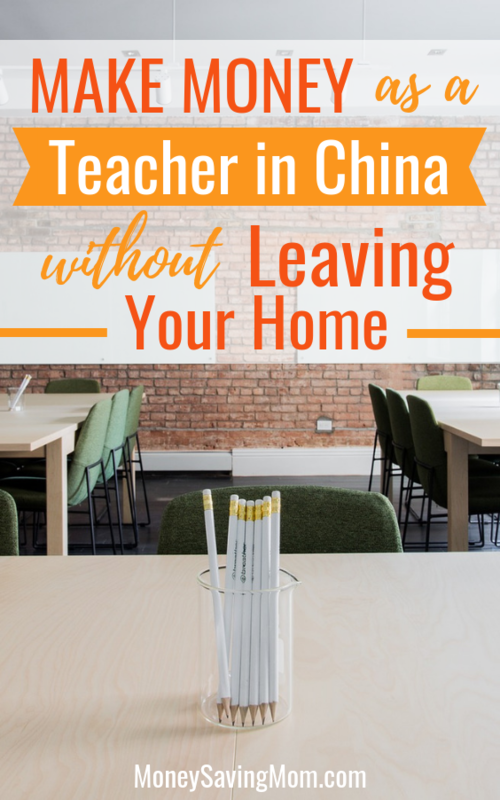 I’ve been teaching with VIPKID for nearly 18 months. I can choose how many hours to teach each week, choose not to teach when we’re busy or traveling, really set my own schedule. It is generally early mornings, though, plus weekend nights. I’ve consistently been paid correctly, every month. So thankful for this opportunity! Oh! I love this! Thank you so much for sharing your personal experience! Do you mind giving an idea of what your actually making? Or how many hrs you try to work? Just trying to see if it would be enough hrs to be beneficial. Thanks! I looked into this a few years back and decided against it. Anyone looking into this should do their research; VIPkid is a Chinese company and workers are not protected American Employment Laws. I’ve heard only really positive things from people who have worked for VIPKID. Did you hear of someone having a negative experience? I’ve worked for VIPKID since October, 2017, and I love it! I’m not sure what protections you are looking for, but the pay is great (I just got a raise), and we choose our own hours. No lesson plans or grading—just show up and teach. This is the best job I’ve ever had. I’ve worked for them for just over a year now and love it! No problems! I first heard about it here on MSM and I’m so glad I looked into it. This job has been a blessing to our family! Yay! This is so fantastic to hear!